Mitt is going make all kinds of noise about why the Bain Capital issue is just an Obama team lie – how it’s just a distraction from the real problem (the economy) and how it’s dirty politics. But it’s norm and here’s why. Ever turn in a tax return? A corporate filing? Notice how it says, “Under threat of perjury I acknowledge this to be a truthful account … ” etc etc? That’s the state/fed’s way of making sure that you at LEAST are asserting that what you are signing is the truth. The documents that Mitt signed are not some little note for the general public to feel comfy about, they are SEC filings. For a pretty big investment firm. That means, whether Mitt was there everyday or not, he was responsible for the company between 1999 and 2001. If my name is at the top of federal forms for a corporation I am responsible for the goods, bads, everything about my corporations (I have many). And the truth is that Mitt was always supposed to come back: Even Bain has admitted that he was listed as a temporary part-timer until his return. I am not saying that this points to him being the guy that made the call for outsourcing, or that the day-to-day decision of Bain were his doing. But it’s important to recognize the elusive nature of this dodge. Just like his finances, which he refuses to disclose (and are spread around the world to protect him), he is aggressively making sure that HE is OK. And there’s nothing wrong with that. It’s not against the law, it’s probably something that many Americans would like to have as the same. But it’s important to see him for what he is. 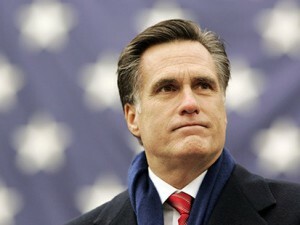 Mitt Romney is about HIMSELF, not our country. He advocates for those that are of the same persuasion: self centered white people that don’t want to give anything back to a country that put them where they are. A pretty small group of people that want to take their winnings and run. Although there is a certain amount of swift-boating that the attacks look like, there’s enough problem here that it should continue to be something he has to explain. The truth is he either lied about his personal financial statement to the FEC, or lied about his corporation to the SEC and FTC. He cannot have it both ways. I can’t, you can’t, he shouldn’t just because he’s way wealthier than the vast majority of any of us.